It is all but certain that Apple will be unveiling two new iPhone models, iPhone 5S and iPhone 5C, on September 10. Both devices have been leaked numerous times and have provided us some valuable information and now, we have an interesting prediction from a popular analyst, who claims that Apple will be launching a 128 GB model of iPhone 5S. According to KGI analyst Ming-Chi Kuo, Apple will also be selling its iPhone 5S with a whopping 128 GB of storage. If the predictions from the analyst, who has been quite accurate in the past, turn out to be true, then iPhone 5S will be the second Apple product after iPad 4 to feature the massive storage capacity. 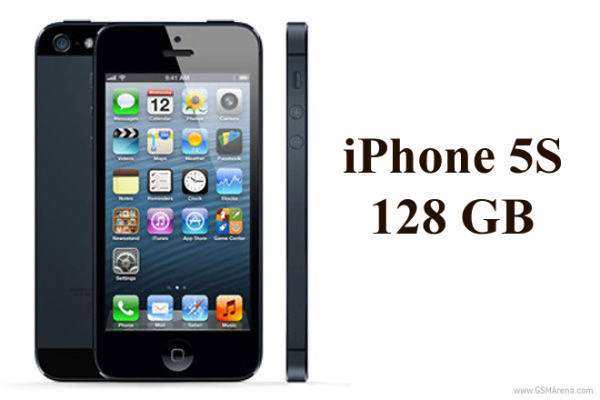 The 128 GB model of the iPhone 5S would cost $499 (on contract) under the Apple's current pricing scheme. Ming-Chi Kuo also expects the upcoming iPhone to be powered by a new A7 chip that features 1 GB of LPDDR3 RAM. The latest chip is said to be built on the ARMv8 architecture and will be 20% more energy efficient than previous A6 SoC. The analyst also confirms that the iPhone 5S will indeed house an upgraded camera with bright F/2.0 aperture and dual-LED flash. This means that the iPhone 5S camera should have better low-light performance than the previous models. Lastly, Apple is also expected to unveil a gold color option for the iPhone 5S in addition to the classical Black and White paintjobs. Looking forward to the release of the cheaper version of the iPhone, the iPhone 5c. It just because the 5s is a really expensive one.